Acknowledged as “A forerunner in the new generation of classical guitarists” (BBC Radio), Michael Christian Durrant continues to establish himself as one of England’s finest and most creative young musicians. He enjoys a busy performance schedule, with concerts ranging from intimate solo recitals to large-scale concerto performances. Michael performs regularly across the UK, and recent sell-out concerts for King’s Lynn Music Society, Ely Arts Festival, Crail Music Festival, Gloucester Cathedral, Wye Valley Music Society, Aylesbury Music Society, Manchester Cathedral, Wakefield Concert Society, Somerton Arts Festival, and Winchester Cathedral are a testament to his musical ability and rising popularity. A dedicated chamber musician, Michael also collaborates regularly by performing and recording with a diverse range of artists; including the violinist Alexander Markov, the pianist Nico de Villiers, and the flamenco guitarist Samuel Moore. In September 2017, Michael performed alongside the Winchester Cathedral Chamber Choir in an anniversary concert celebrating the music of the Italian composer Mario Castelnuovo-Tedesco, including a performance of the evocative Romancero Gitano, Op. 152 for guitar and mixed choir. Michael continues to cultivate a range of new collaborative projects and is currently working alongside the Portuguese violinist Inês Delgado, the Spanish guitarist Isabel Martínez, and the Canadian pianist Morgan-Paige Melbourne. Furthermore, he is currently working with the South-African composer Amy Luyendik towards the composition of a new set of solo guitar works and a new concerto for guitar and orchestra, both of which are set to be premiered during the 2019/20 Concert Season. Michael studied classical guitar with Maestro Carlos Bonell, professor of guitar at the Royal College of Music (RCM), London and Maestro Giulio Tampalini at Accademia della Chitarra di Brescia in Italy. He studied full-time as a master’s student at the RCM and was awarded an MSc with distinction in 2018. Notably, Michael was the first classical guitarist to be awarded a master’s studentship from the RCM and the Arts and Humanities Research Council (AHRC), covering his full tuition fees and living expenses throughout the duration of his studies at the College. Always keen to learn and grow, Michael has also participated in masterclasses with some of the classical guitar’s leading artists, including: Craig Ogden, Gary Ryan & Xeufei Yang. Michael’s first album, entitled Romantíco: Romantic solos for classical guitar, was released in 2014. He has since released a series of live albums, including Live at Winchester Cathedral, and is currently preparing two new studio albums for release in 2019. The first of these, a solo album entitled Traditions of the Classical Guitar, will be recorded at the legendary Abbey Road Studios in London. Celebrating the rich traditions of the classical guitar and its uniquely diverse repertoire, this album will bring together a selection of music by some of the composers that have shaped Michael’s musical journey over the past few years, including Heitor Villa-Lobos, Isaac Albéniz and Mauro Giuliani. Michael’s second 2019 album release marks the culmination of a unique collaboration with the flamenco guitarist Samuel Moore, bringing together the world of classical and flamenco guitar. Entitled Guitarra, el Corazón de España (Guitar, the Heart of Spain), this album will include the music of Enriqué Granados, Manuel de Falla and Francisco Tárrega alongside a vivid selection of flamenco palos. Since 2014, Michael has been represented by the London-based agency Gary Parkes Music Ltd. and he enjoys a busy international performance schedule. In addition to his recital commitments on land, Michael is sought-after as a classical artiste by the world’s leading cruise lines, and he continues to present concerts for Cunard, Seabourn, P&O, Holland America, Saga, Silversea, and Princess Cruises. Michael has performed on over fifty cruises to date, and these travels have taken him all over the world. In addition to his performance commitments, Michael continues to demonstrate a natural ability to inspire others as a teacher, and in 2011 was invited to lead masterclasses for Language and Music for Life (LMFL) international summer courses. He directed the classical guitar programme for LMFL between 2011–2014, including courses in Le Chambon-sur-lignon, France; Llandovery College, Wales; Ordino, Andorra; and at the Conservatorio Benedetto Marcello in Venice, Italy. 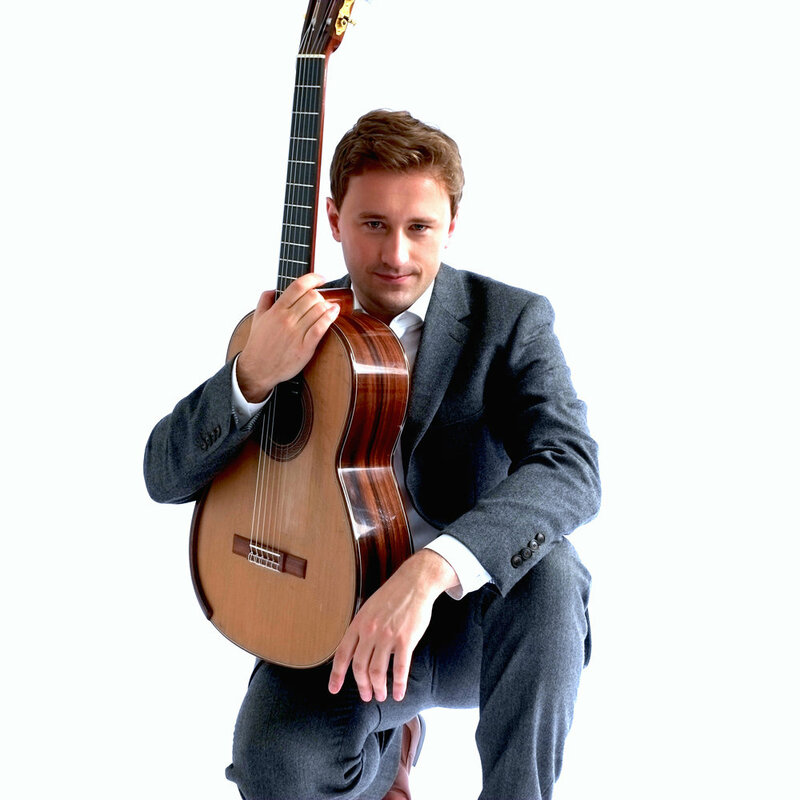 Closer to home, Michael established the West Yorkshire Classical Guitar Society (WYCGS) in 2012 and continues to work with a select number of private students in London. In 2018, Michael was appointed by Maestro Giulio Tamplani as a classical guitar teacher at Accademia Internazionale della Chitarra di Brescia, Italy. Highlights for the forthcoming 2019/20 Concert Season include Michael’s most extensive international solo tour to date, with recitals planned in Japan, Australia, New Zealand, USA and Canada; a performance of Mario Castelnuovo-Tedesco’s Romancero Gitano, Op. 152 in the Cayman Islands as part of the Cayman Arts Festival; and a performance of Joaquín Rodrigo’s Fantasia para un Gentilhombre in Berlin, Germany alongside Johannes Moesus and Bayeriches Kammerorchester. Michael Christian Durrant plays a 2008 Greg Smallman concert guitar. He is an affiliated Yamaha artist and uses D’addarrio classical guitar strings.